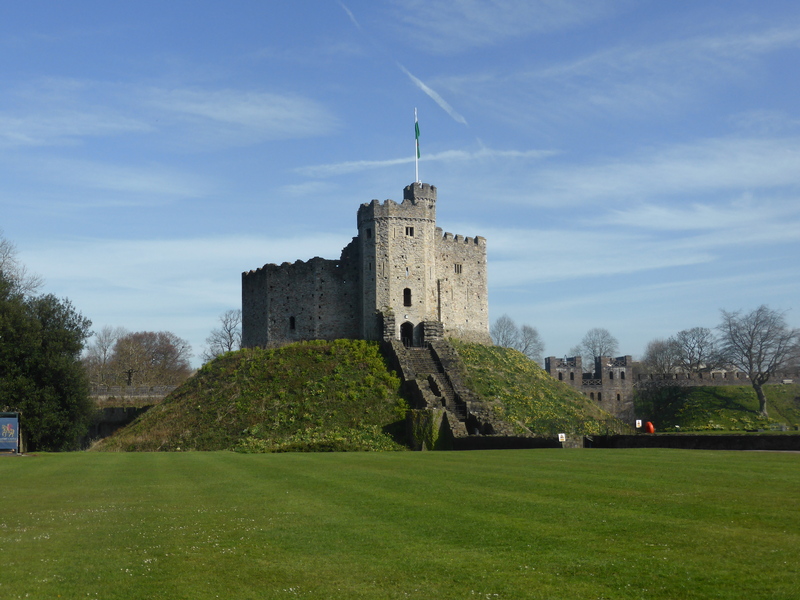 I was lucky enough to have a sunny morning in Cardiff so I decided to make the most of it and visit Cardiff Castle. How could I resist when it is situated right in the center of town? I hesitated a little at the £12 entry fee (things like that blow the budget) but definitely no regrets. 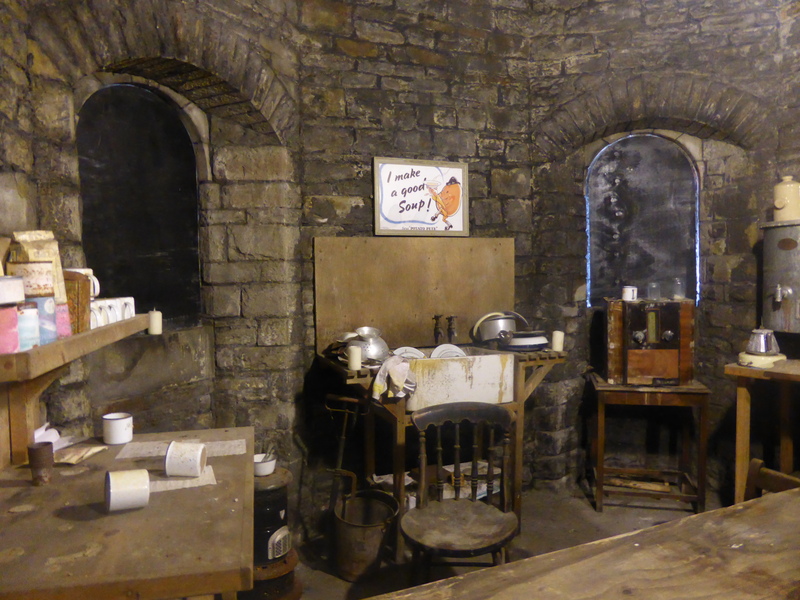 The visit started with a (pretty missable) film and then continued into the walls of the castle where a wartime air-raid shelter has been recreated. 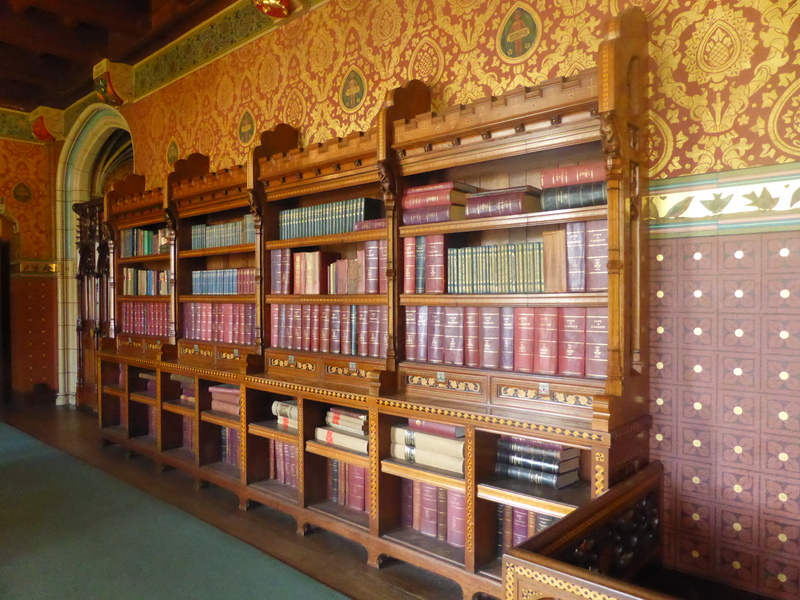 (Apparently the castle was a major shelter during the Second World War.) 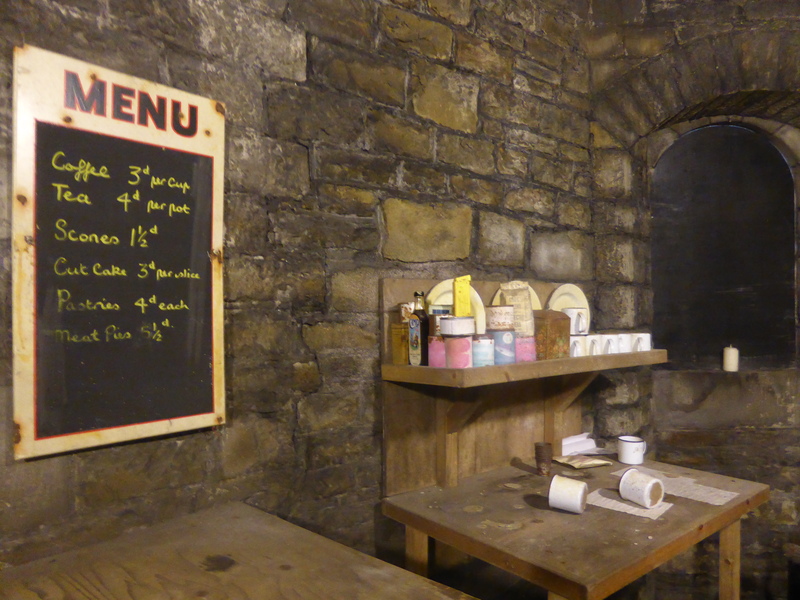 It was fascinating to see the tunnels within the castle walls but the combination of darkness, sound effects and my claustrophobia made me very aware of how tough it could have been to have to spend time there. 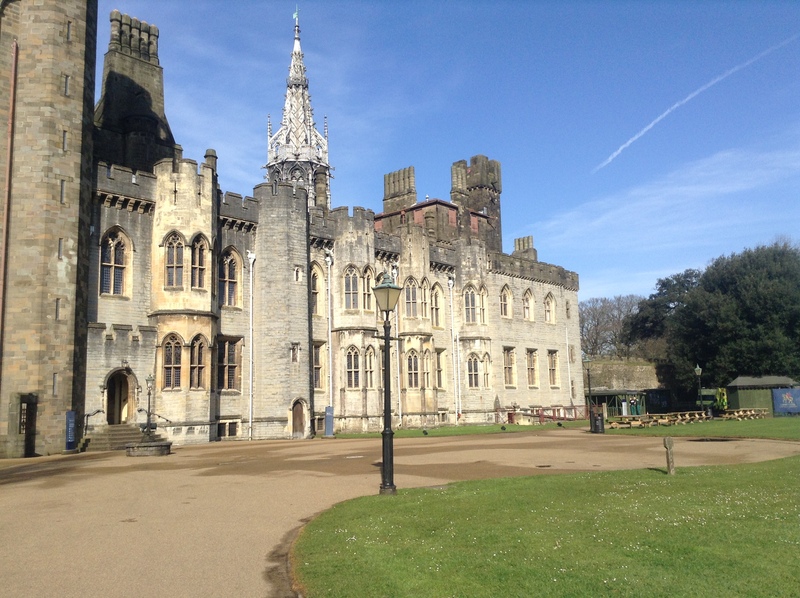 The castle is an amazing mix of architectural styles from the medieval castle to the Gothic Victorian mansion with its sumptuous apartments. I think my favorite part though was the Norman motte and bailey built on the site of a Roman Fort. 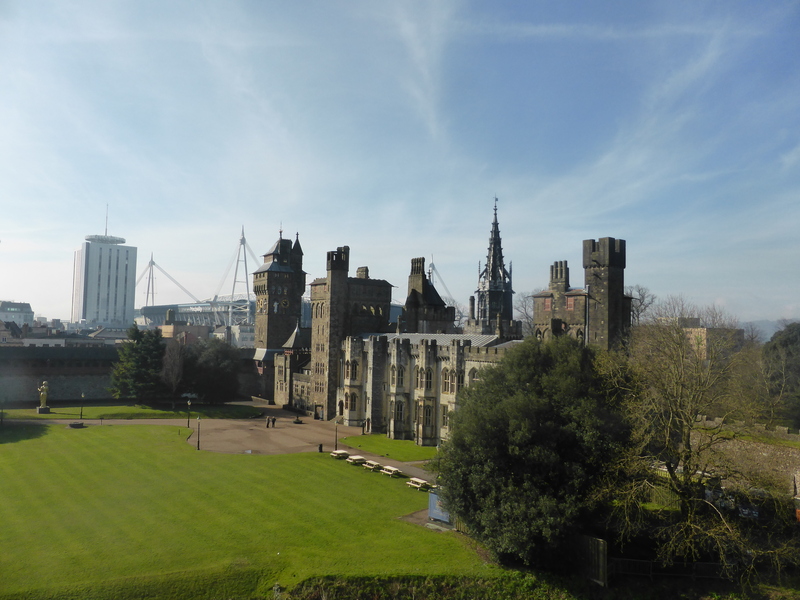 And making the climb to the top gave lovely views of Cardiff and the rest of the castle. I love the combination of old and new. 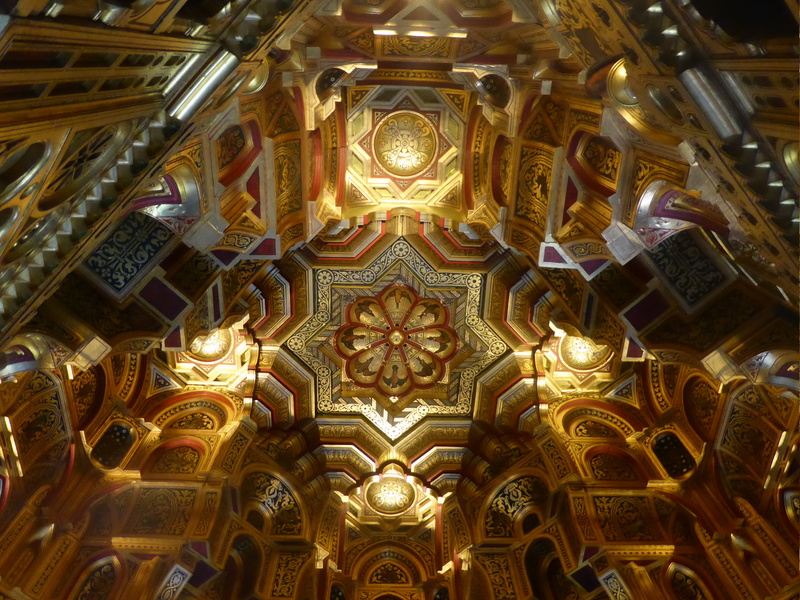 I’ve now been to Cardiff twice – both times for under 24 hours but at least I feel this time that I actually got to see some of the place and not just the inside of the Millennium Stadium.